Latitudes: International Music You Must Hear Now Hear smash hits and intriguing tracks from Sudan, India, Nigeria and beyond — plus more than 900 versions of "Happy," filmed around the world, that will get you dancing. Each month, we're bringing you sounds that are rocking the world from destinations near and far. In March, the chart-toppers and new tracks represent some fascinating — and occasionally uncomfortable — juxtapositions. For example, in India, a Muslim song is now side-by-side in popularity with a Hinglish (that's Hindi/English) paean to booze. Fela Kuti's youngest son, Seun Kuti, brings a harder edge to Afrobeat than his late father or his brother Femi. And all the zombie references in the video aren't just riding the cultural currents of a possible zombie apocalypse. They also hearken back to one of Fela's most potent lyrical images: the unthinking, soulless soldiers of the Nigerian Army, now updated for the global economic crisis. 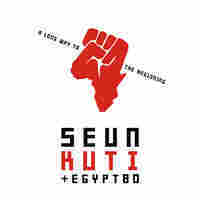 This track is from Seun Kuti's forthcoming album, A Long Way to the Beginning. NOTE: Contains obscene language. While you may only recognize him from his once omnipresent song "Jai Ho," film composer and singer A.R. Rahman is nothing short of a legend in India. He has scored more than 70 movies and has sold well over 100 million albums, making him one of the world's most heard artists. Born a Hindu, Rahman converted to the mystical form of Islam called Sufism when he was in his 20s. 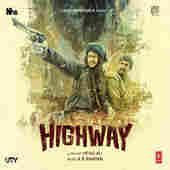 And increasingly in recent years, he has woven Sufi lyrics and music into his own work; the latest iteration of that inspiration is in the score he wrote with poet and lyricist Irshad Kamil for the movie Highway. For this film, Rahman and Kamil wrote two versions of a song called "Patakha Guddi," a male version with himself as soloist, and a female version featuring the sisters Sultana and Jyoti Nooran. The current popularity of "Patakha Guddi" — with its explicitly religious lyrics like "Chant the name of God, your Lord" — has created some interesting juxtapositions within the Indian music scene right now. It's a hit alongside songs like Yo Yo Honey Singh's banger "Chaar Bottal Vodka" (Four Bottles of Vodka), which is about as deep as you suspect it would be. 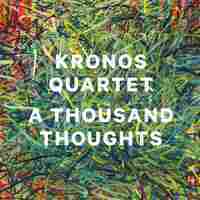 We've been awash in Kronos Quartet reveries all this month, what with the group's 40th anniversary upon us. At the Kronos gala concert I attended Friday at Carnegie Hall, one of the most beautiful moments came during their performance of the Scandinavian folk song "Tusen Tankar," a composition that also lends its name to the group's latest album. Though the song's origins lie in both Sweden and Denmark, this instrumental version, arranged by the gifted violist and composer Ljova, has a gorgeous, dreamy and nearly Celtic feel. Born in Sudan, raised in Yemen and now a resident of (where else?) 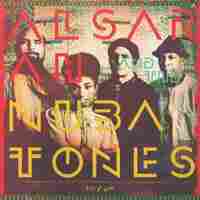 Brooklyn, singer Alsarah is starting to burn. 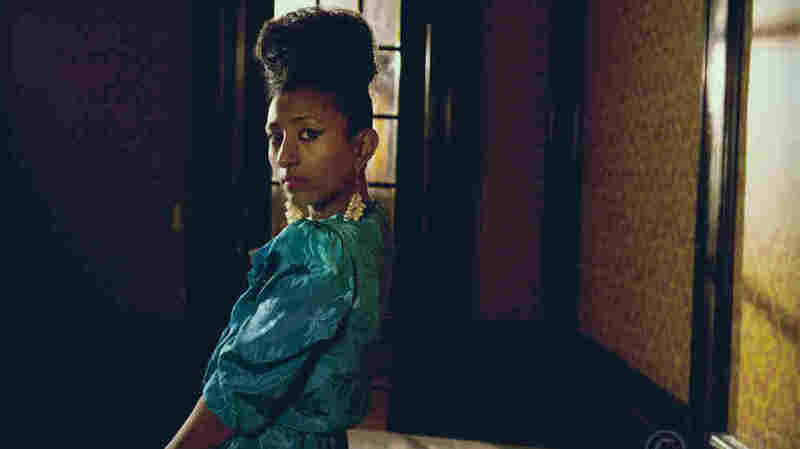 Last year, she appeared as part of The Nile Project organized by Mina Girgis and Meklit Hadero; this month, she's released her debut album, Silt, and it's got all the deep rhythms, fluttering vocals and serious grooves we were hoping for. The song "Soukura" evokes the idea of yearning for lost times and places — tragically familiar themes for the Sudanese people. Bonus track: This is less a "world music" track than simply a global sensation topping the charts everywhere from France to Australia right now. Even better: There is a website that is tracking 967 (and counting!) homages to Pharrell Williams' inescapable "Happy," filmed in locales from Curitiba, Brazil to Istanbul, plus a remix from Dakar, Senegal. Each video winds up being a tiny visual vacation with an infectiously joyous, if repetitive, soundtrack — and all of the folks you encounter are, well, happy to see you. One of my favorites is this 24-hour version shot in Rome.